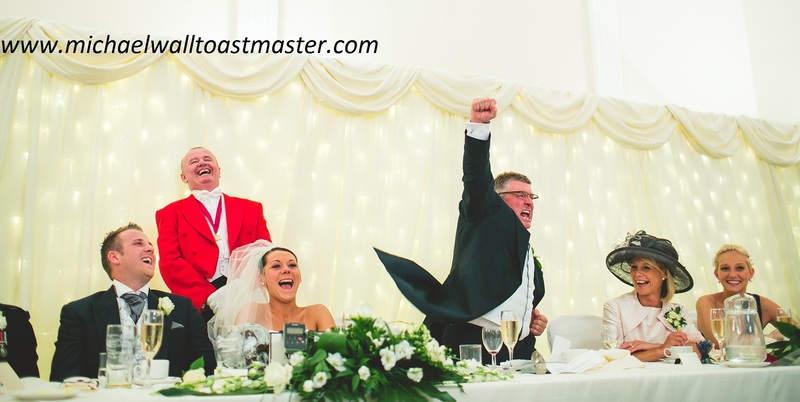 My role as your Wedding Day Toastmaster, or Master of Ceremonies in Yorkshire or anywhere in the UK, is to ensure the smooth and efficient running of your special event or wedding. To discreetly go about my duties providing confidence and a calming influence on the proceedings. A Wedding Toastmaster in his most splendid, traditional “red tailcoat” and full ceremonial regalia will add a certain class and splendour to your wedding occasion. Your wedding Toastmaster on the big day is also your wedding co-ordinator to help you pull all your plans together. Furthermore as a professional Toastmaster / Master of Ceremonies I am working for ‘you’ as a highly trained and conspicuous event manager. The very foundation of my training is about supreme care for you my clients. Relax and let your Wedding Day Toastmaster look after your plans ensuring you have the very best day possible. >Please take a look at the Services page for more information on what I can offer, or if you are planning a wedding, then you can read more on the separate Weddings page. To read my testimonials page simply click on the “Thank You” image on the right, you will read comments and letters sent to me by people who I have assisted recently. Many more thank you letters and testimonials are available on request. As a member of the Northern Guild of Toastmasters, you can rest assured that Michael Wall has been highly trained and is experienced in the role of Toastmaster for a number of different occasions and events. 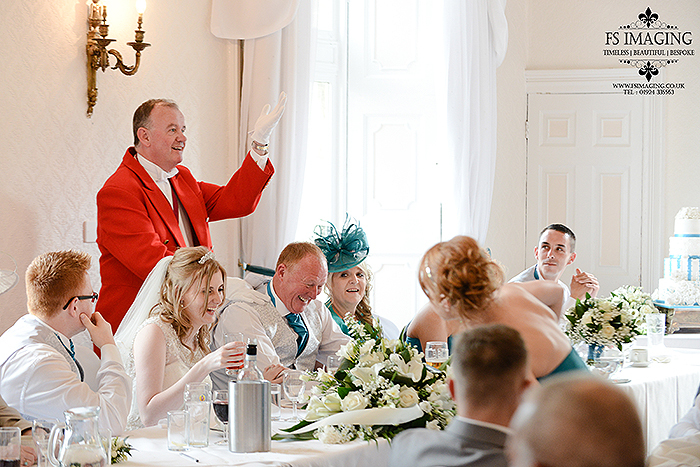 If you would like your wedding and reception to run smoothly and efficiently by a specialist wedding Toastmaster, then please don’t hesitate to contact Michael Wall. He will be more than happy to answer any questions you may have. Read my testimonials page for feedback about my services. Having spent 35 years in the hospitality industry, the last 24 of those with Whitbread as a general manager running a great many different operations including Hotels, Restaurants and function facilities. Michael lives in Dore, Sheffield and is married to Andrea and has two children. Whatever the occasion, hiring an experienced professional Toastmaster is going to be a great help. These are just some of the types of events where you may need the services of a Toastmaster or Master of Ceremonies. Whether it’s announcing in the Bride and Groom, saying grace, introducing the speeches, assisting with presentations and liaising with the host, caterers, band & DJ, The Toastmaster will guide you through the protocol and etiquette of the day. You may be surprised at the many benefits of using a professional Toastmaster for your event. His experience in dealing with formal occasions will bring calm and order to your day along with a sense of fun. Read more on my testimonials page. 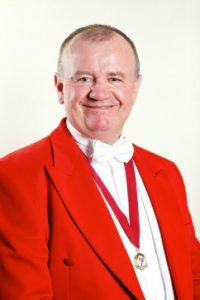 The Toastmaster in his red tailcoat is a unique English tradition that has adapted over time and is as relevant today as when it all first started in the Eighteenth Century! A Toastmaster adds a certain style, distinction and image to any formal or informal ceremony, event or celebration. His duties relieve the host of worry and stress, and include overseeing the smooth running of the event. Each event is different and unique, so until we chat the cost won’t be known. However you can find more information here on charges and how to book your estimate. Should you require any further information please don’t hesitate to contact Michael Wall. He will be more than happy to answer any questions you may have.